With 4 decades of experience at Peter Luger's Steakhouse, Wolfgang Zwiener didn't duplicate an exceptional steakhouse, he improved on it to make Wolfgang's Steakhouse exceptional. The porterhouse steak for two, three, four or more, is an outstanding choice. The atmosphere, expanded menu & professional service will appeal to even the most exacting diners. Wonderful for a quiet dinner where you can enjoy your food and the table does not vibrate with the music. We are happy we pick Wolfgangs to celebrate Easter dinner. The food and service was excellent. We will definitely go back when we are in Miami again. Elite Steakhouse. Miami River Views and top-notch service. What an awful restaurant this is! We should have realised this when we arrived at 8pm on a Friday and it was almost deserted. The steaks are average and well over priced. The restaurant lacks any sort of atmosphere (probably due to it being empty) and the waiters were rude and unhelpful. There must be 1,000 nicer, better value restaurants yo choose from.in Miami. Awesome food and service. Enjoyed the dinner. Would recommend again. Restaurant was a little run down. Didn't advise Porterhouse for 2 easily feeds 3. Did not pack all our leftovers; emitted whole T Bone. Good food and service, but extremely expensive for something not so special. $100 per person with 2 appetizers (oysters and shrimp scampi), the porterhouse steak and a side of potatoes. We had no cocktails or wine. Not worth it but good food. We had been in Wolfgang’s New York and we ate there the best Porterhouse steak ever. 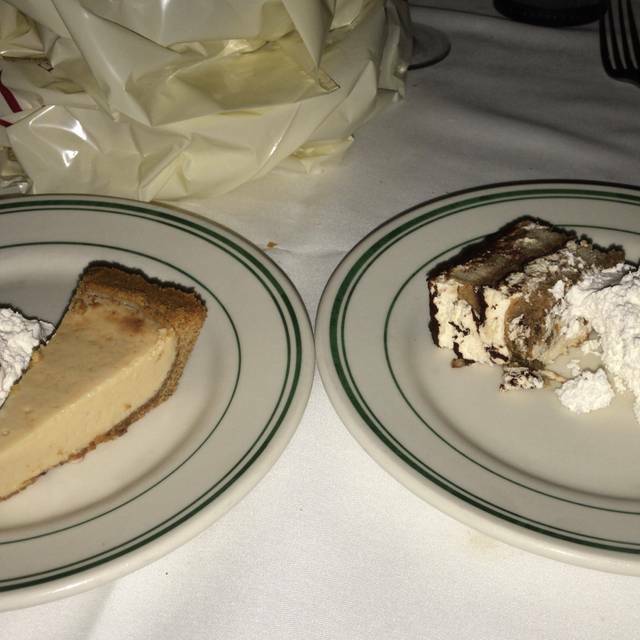 Here in Wolfgang‘s Miami, we were very disappointed how they prepared the same Porterhouse. 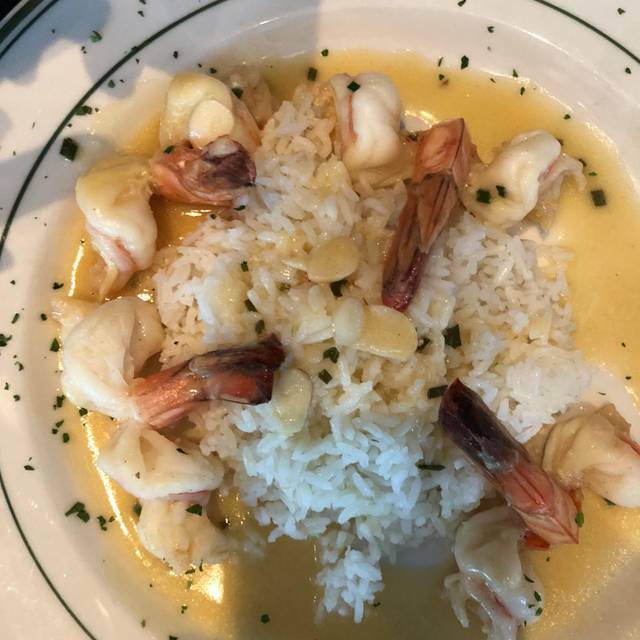 Maybe, we should have tried a different dish. The food was delicious. 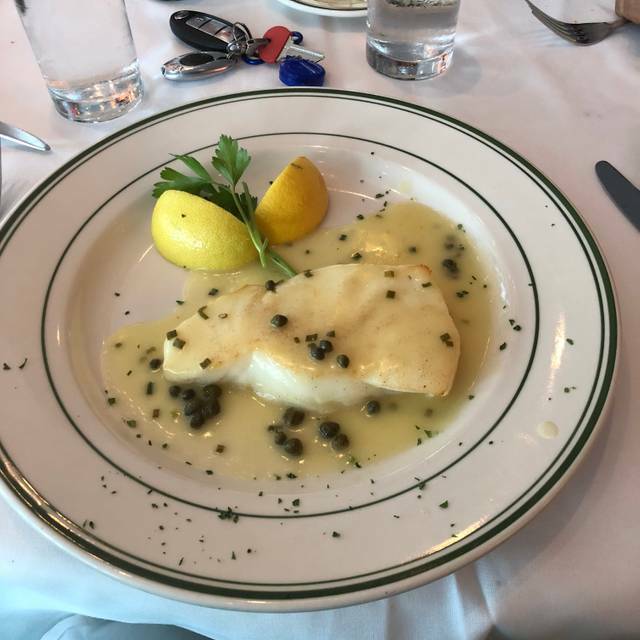 The sea bass was cooked to perfection and the NY Strip was excellent. My husband and I absolutely loved the food and the view. 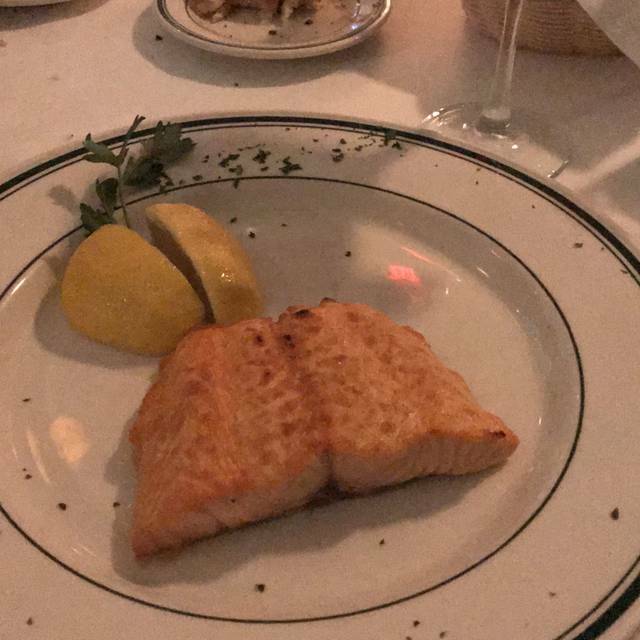 It was a very expensive meal for what was received. Service was not professional, and under trained. Not quite Peter Lugers, but is closer than any place that has tried. Out with family, compliments to the chef! We had a ball and ran into a pro basketball player there too who was also loving his food! Amazing first time experience and would love to eat there again when possible! 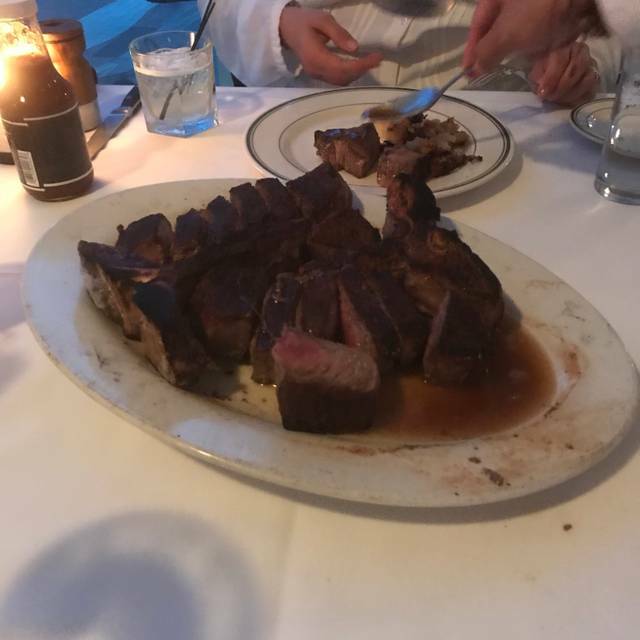 Wir waren sechsmal in NYC essen, alles perfekt, in Miami aber absolut das schlechteste Steak das wir je gegessen haben. Die Bratkartoffeln waren nur fettig, das Steak geschmacklich unterirdisch, nie wieder. What an amazing experience! The filet mignon was impeccable, as were the side dishes and cocktails. The atmosphere, with our table outside, by the Miami River, was so romantic, with a magical view. This was a special occasion. But any time you go to this restaurant, it will become a special, memorable occasion. Food was excellent except for a steak that was ordered medium and came out mooing. We asked for our server and was told that she was too busy to come over to us. We then asked for a manager. It didn’t seem as if anyone was managing the restaurant or observing if the customers were being attended to properly. For these prices one would expect more. The server did come over when she heard that we were upset. 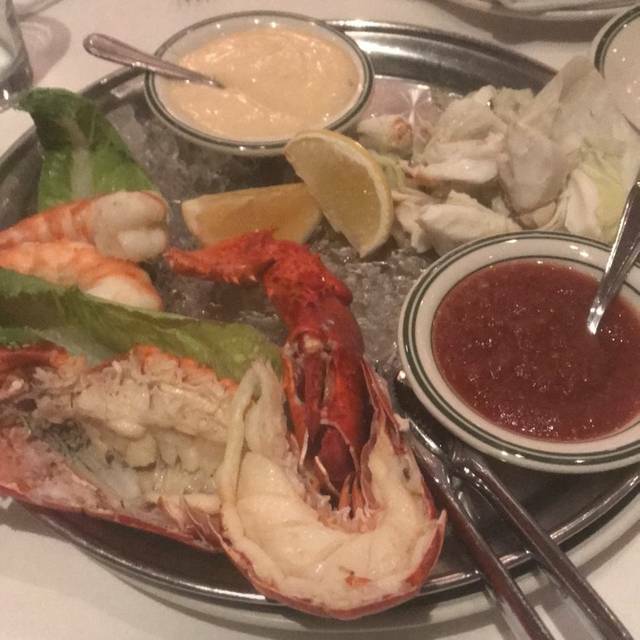 We also had a 3 lb lobster that was delicious and a fish and a steak entree that were perfect. The server offered us complimentary desserts which was nice. From now on we will only eat at the bar. The service at the bar is very good. Good service, the steaks where very good! Some room to improvement in the appetizer the restaurant offers. The ambiance of the dinning room is what I look in a Steak Place. Service was really poor/tardy, ended up being a 3 hour dinner for no good reason. Food was great once served. Service was great, venue is great but the quality of the beef was less than expected. 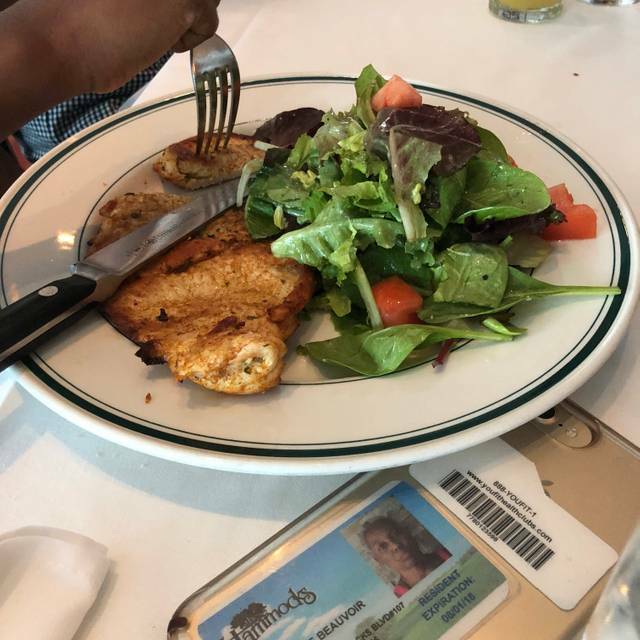 Both the steaks and lamb chops lacked flavor and were sub-par in comparison to other outlets such as Capital Grill and Ruth's Chris. The service was excellent. We sat outside and we had a great view,however the food was mediocre for an upscale steakhouse. 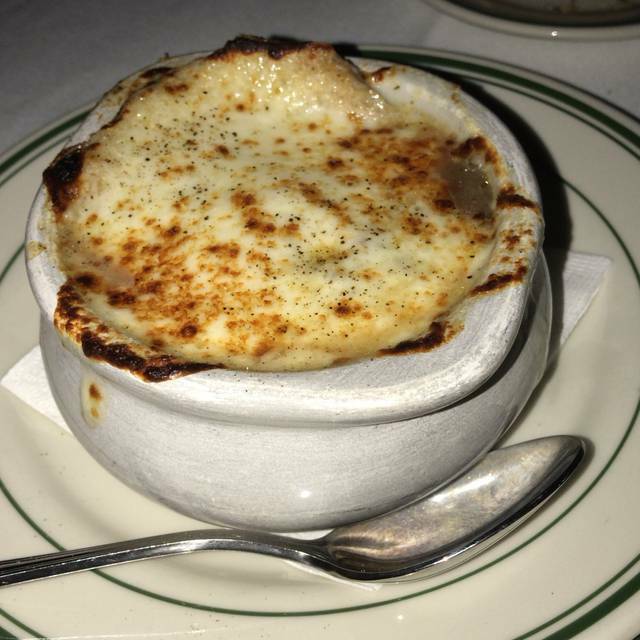 Fabulous food, outstanding service. You won't be disappointed. 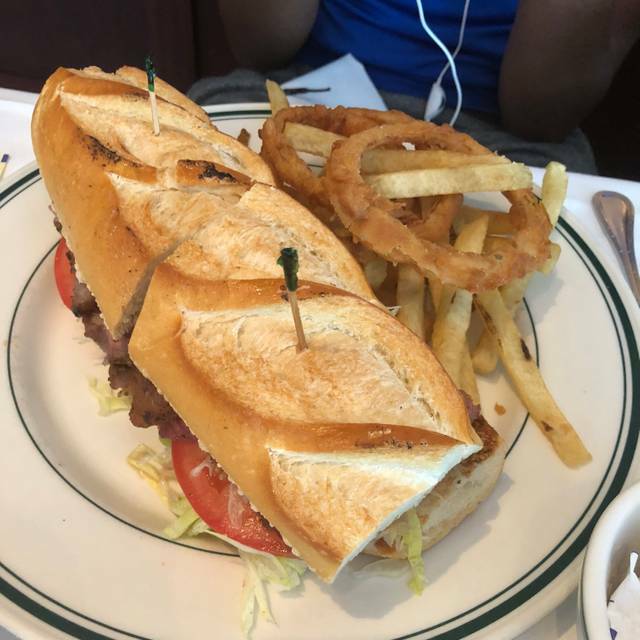 The restaurant was nice and the service was good, however we recently ate in New York Restaurant and felt the food was better. We found the steak to be rather fatty and wasted a lot of it. The portion sizes were enough to order one for both of us as the portions are big even the sides were big enough for 2 people. An outstanding experience from the moment we walked in when Bonnie who was also our server directed us to a lovely outside table.and assured us despite the rainy weather we would be comfortable. The ambiance of the outside seating along the river really enhanced our dining experience. So nice to be able to hear ourselves talk. The meal was excellent. I shared a ribeye steak which I wanted medium and my my friend wanted medium rare. Bonnie spoke to the kitchen and they honored our request. Amazing!! Bari, manager, was very hospitable!! Will definitely return. An all around excellent dining experience!!! Just a wonderful experience overall. Restaurant is very well decorated, service was always very kind and attencious, and the rib-eye was so delicious! Loved it! Always enjoy dining at Wolfgang’s Steakhouse! The most amazing service I’ve ever received. The serves were amazing. Beautiful scene suggest going right before sunset; food was superb. Service was poor, my steak was overdone, most of the parties were good though. Wouldn’t return due to the rudeness of some staff. Great food, lovely view and excellent, professional service. Our waiter was delightful, knowledgeable and efficient. Well located table at terrace in front of Brickell Point. Staff was attentive and respectful. Parking was easy. We'll definitely come again with my wife. One of the worst high end restaurants I had to try. The food was ok nothing crazy it was missing seasoning and the service was by far the worst experience... The server were rude and annoyed by simple questions we'd ask them. Few tables that night had complains about the service that same night! Wouldn't recommend it to anyone. The food is amazing, but the service was horrible. The waiter was rude and ignorant. Only good service came from the bartender Percy that would go out of his way to help us to make up for the lack of service coming from our waiter. This is supposed to be a high class restaurant, but the service was just completely lacking.